ANQA is established as a non-membership, non-commercial, state-funded Foundation under the Government Decree (No. 1486). ANQA strives to promote public trust, social cohesion, equity, responsibility and competitiveness through systematic enhancement of tertiary level education (higher and vocational) provisions. As a foundation ANQA is independent from TLIs, MoES and third parties. Agency is governed by the Board of Trustees and Director. ANQA is formally recognised in Armenia as the only agency to provide external quality assurance (EQA) services and to stimulate the tertiary level institutions (TLIs) to develop, disseminate and enhance a quality culture. ANQA is also responsible for running the Stare Accreditation Register. EQA activities in Armenia entails institutional and programme accreditation. Institutional accreditation is a regular mandatory process both for private and public institutions operating in RA. Institutional Accreditation in RA evaluates the effectiveness of TLI operations and to find out whether the TLI is in compliance with its mission, whether it follows the policy of continuous improvement and enhances the development of implemented academic programmes. Institutional accreditation is granted for a period of 4 or 6 years, conditional accreditation for a period of 2 years. Programme Accreditation is carried out on the initiative of the TLI on voluntary basis, with the exception of medical academic programmes, the accreditation of which is compulsory. Programme Accreditation evaluates the effectiveness of academic programmes and to monitor whether it thoroughly ensures the acquisition of intended learning outcomes. Programme accreditation is granted for a period of 5 years. The accreditation procedures carried out by the ANQA are based on the peer-review principle, as well as on the principles of accountability, transparency and quality enhancement. The policy, procedures and quality assurance mechanisms adopted by ANQA have been developed in compliance with the ESG and are published on the Accreditation manual and web-site. The regulatory framework and criteria for Institutional and Programme Acceditation are available on the ANQA web-site. The expert panel is composed of specialists and students who are selected according to clearly defined procedures developed by ANQA and ratified by the Board of Trustees. The panels are composed of local and international experts who are well-known highly qualified specialists with sufficient expertise in the implementation of quality assurance processes. More information is available here. Development, management and proactive participation in international projects (WB projects, Tempus projects, Erasmus +, Twinning projects). ANQA is a full member of ENQA, INQAAHE, CEENQA, a member of CHEA International Quality Group. Agency is currently undergoing a process of being registered in EQAR. Membership granted on February 2017. Developing and carrying out external quality assurance procedures such as audits for higher education institutions and accreditation procedures for higher education institutions and degree programmes, according to national and international standards; continuously supervision of accredited higher education institutions and degree programmes regarding the accreditation requirements; conducting studies and system-wide analyses, performing evaluations, and carrying out projects; providing information and advice in matters related to quality assurance and quality enhancement. Institutional and programme accreditation, audit, evaluations, studies and projects, information and supervision. AQ Austria includes the competences and activities of three previous existing organisations, namely the Österreichischer Akkreditierungsrat (Austrian Accreditation Council – ÖAR) the Fachhochschulrat (FH Council – FHR) and the Austrian Agency for Quality Assurance (AQA). AQA will complete ongoing evaluations and therefore keep its functions until mid 2013. Membership reconfirmed on June 2014. AEQES is an independent, public sector agency established in 2002 by a decree of the French Community government. Today it functions on the basis of further legislation voted in 2008. Its steering committee comprises representatives from the four sectors of higher education, as well as individuals from the students’ organisations, the trade-unions, the labour market and the civil society (including quality experts from abroad). AEQES is funded by the government of the French Community of Belgium. It is operationally independent of the institutions of higher education, the ministry of higher education and the government of the French Community. AEQES is responsible for assessing the quality of higher education (the four sectors of which include: art academies and conservatories, adult learning institutions, universities, and university colleges or “hautes écoles”) and working for its continuous improvement. The agency practices formative evaluation based on a dialogue between all stakeholders within the French Community. The agency evaluates the programmes via on-site visits and follow-up procedures. In line with its code of ethics, it selects its experts, informs them of their mission and its context, and ensures that they can carry out their work in complete independence. This work is completed by the publication of all reports on AEQES’s website. The agency aims to stimulate cooperation among HEIs, developing quality culture and disseminating good practices. AEQES autonomously develops its procedures used for assessing the quality of study programmes in the HE institutions authorised by the French Community. The evaluation cycle includes a follow-up procedure with a site-visit to see how well the recommendations have been addressed. AEQES establishes an evaluation-plan monitoring appropriate clusters of programmes with the aim of fostering the alignment of programme profiles and objectives with the missions of the institutions involved, disseminating good practice and promoting synergies. The reports produced by the agency are numerous: review reports, system-wide analyses and thematic reports. They aim at providing stakeholders with proposals on ways of enhancing quality. AEQES actively participates in international bodies (EQAR, ENQA, etc.) and events focusing on quality assurance in higher education (EQAForum, ENQA meetings, ENQA’s Board and working groups) with the aim of developing its reflection on quality. Moreover, by basing its working procedures on the European Standards and Guidelines (ESG), by collaborating with other agencies (so far with AEC- Agence Européenne des Conservatoires, CTI – Commission des Titres d’Ingénieur) to jointly evaluate some of its programmes, and by disseminating information on European developments in higher education, the agency can be seen as being a part of an overall European process. External evaluation, programmes, French community of Belgium, quality enhancement, higher education, collaboration. Membership reconfirmed 13 February 2017. Independent organisation financed by the Flemish universities and university colleges. VLUHR Quality Assurance Unit (VLUHR QAU) is the legal successor and builds upon the structure and procedures of the former agencies of the Flemish Interuniversity Council (VLIR) and the Council of Flemish University Colleges (VLHORA). VLUHR – QAU is a quality assurance agency that contributes to the safeguard and the continual improvement of quality in higher education. Through its activities, VLUHR – Quality Assurance Unit stimulates quality culture within higher education institutions. The unit wants to be a leading expertise centre with regard to quality assurance in higher education. It also aims to offer and share its knowledge with stakeholders. Discipline-orientated quality assessment based on self-assessment and peer review. For each study programme to be assessed; VLUHR QAU select panel members with domain and educational expertise. The composition of each panel is listed in the assessment reports and on the website of VLUHR-QAU. Staff members of VLUHR QUA participated in ENQA peer review panels (European Chemistry Thematic Nework Association; Unibasq; National centre for Public Accreditation NCPA) and participated in the assessment of MusiQuE – Music Quality Enhancement. Membership reconfirmed on 26 November 2014. NEAA is an independent specialized body for evaluation, accreditation and quality assurance in higher education. It is authorized by law to adopt a criteria system, internal procedures and standards. It is funded by the state budget and by collecting fees from HEIs for the accreditation procedures. The Ministry of Education is informed on a regular basis about the outcome of each procedure and so is the general public – through publication of the results of the procedures on the agency’s website. NEAA is responsible for carrying out institutional and program evaluation and accreditation of all HEIs in Bulgaria. It is looking into opportunities to internationalise its activity. Its role is to establish a quality culture in the HE system by information, consultation and active participation of stakeholders. The IQA system is a functioning mechanism of maintaining internal standards, together with the ethics system and the appeals system. The scope of activity extends to all HEIs at national level, which is an advantage ensuring reliability of decisions. There are two main levels of management – first level: the Accreditation Council elected and appointed by the Prime Minister and second level: eight Standing Committees on study fields elected and appointed by the Accreditation Council. Objectives are achieved by establishing evaluation and accreditation criteria and indicators. Experts are selected and trained in an objective and transparent process. Expert groups are composed of different types of stakeholders – academics, students, employers, international experts, etc. Final decisions on programme accreditation are taken by the Standing Committees and on institutional accreditation and regulated professions – by the Accreditation Council. Evaluation criteria and indicators are available here. Regular participation in ENQA events, eg. General Assembly; International cooperation, including bilateral agreements with ARACIS (Romania) and PKA (Poland); Participation in international R&D projects, e.g. ENQA’s Good Practices Project (2013). Membership reconfirmed 22 February 2018. The Agency was established by the Government of the Republic of Croatia as an independent public body and the only institution tasked with accreditation procedures in higher education and research in the Republic of Croatia. It is independent of both the ministry and the higher education institutions. It is funded from the state budget and international project funding; it has the legal possibility of charging for its procedures, however, it is currently not doing so for institutions and programmes in the Republic of Croatia. The Agency’s scope of authority is accreditation of higher education institutions and research organisations in the Republic of Croatia. Its roles are external quality assurance and quality improvement of higher education and research through evaluation procedures, professional recognition of foreign higher education qualifications and dissemination of information and best practices. The Agency’s scope of work also includes activities related to applying and meeting the conditions for enrolment to HE institutions. Furthermore, the Agency provides professional and administrative support to strategic and expert bodies in the system of science and higher education. The procedures carried out by the Agency are initial accreditation of study programmes, higher education institutions and research organisations, re-accreditation and audit of higher education institutions and research organisations, thematic evaluation and recognition of foreign higher education qualifications. Indicators for each of the Agency’s procedures are available here. The Agency does not publish its list of experts, but this list or recommendations of experts for specific fields are available upon request from akreditacija-visoko@azvo.hr. The Agency is listed in EQAR, and has the legal possibility of carrying out QA activities abroad. It is a member and actively participates in the activities of the ENIC – NARIC network, and is a member of INQAAHE (International Network for Quality Assurance Agencies in Higher Education), CEENQA (Network of Central and Eastern European Quality Assurance Agencies in Higher Education), ECA (European Consortium for Accreditation) and OECD IMHE forum, and has an observer status in APQN ( Asia-Pacific Quality Network). It has participated in a number of international projects, funded by bilateral cooperation, programmes such as UNESCO GIQAC, European Union CARDS, IPA, TEMPUS and Lifelong Learning Programme, and others. CYQAA was established by Law, as an independent and autonomous authority. It is recognized as the only national quality assurance agency for higher education, by the competent authorities of the Republic of Cyprus and by professional licensing bodies, institutions, employers, and stakeholders. The Law safeguards the Agency’s autonomy and independence for its operations, i.e., external evaluation processes, methodologies, experts’ selection, and decision making within its competencies. Higher education institutions, ministries or stakeholders have no effect on CYQAA’s decisions or evaluation results. The Agency is funded by the state budget and the Law provides for the payment of fees by institutions for the conduct of evaluations. CYQAA is responsible to ensure the quality of higher education in Cyprus and to support, through the procedures provided by the relevant legislation, higher education institutions for their continuous development and improvement, within the European Standards and Guidelines (ESG). The Agency aspires to contribute, towards the establishment of Cyprus as a district center of quality higher education. Its vision prioritizes the cultivation of a quality culture in higher education, with self-regulatory policies based on shared values among all higher education institutions, common beliefs, high goals and commitment to quality. CYQAA utilizes quality standards and indicators (criteria) formulated on the basis of the ESG and other international standards. The level of quality is determined via the conduct of program, departmental and institutional evaluations. Institutions seeking accreditation prepare an in-depth self-study that addresses compliance with the standards. The site visit is an integral part of the evaluation process. A report records the institution’s compliance with the standards. Institutions may provide comments on the report before the Council’s decision. HEIs are involved in dialogue through workshops and seminars, participation in European fora and think tanks. There is collaboration with HEIs for the establishment of internal quality culture and thematic analysis. The Agency’s Registry of Experts in the various scientific disciplines is not published. The selection criteria are published on the Agency’s website http://www.dipae.ac.cy/index.php/en/experts/selection-criteria and an online application for academics who wish to be included in the Registry is underway. CYQAA values its collaboration with its international partners, which provides valuable insights in regard to the future of higher education in Cyprus and the key elements which enable CYQAA to fulfil its goals. There is communication with QA bodies aiming at the exchange of good practices on external evaluation processes, expert selection etc.At present, CYQAA is full member of: European Association for Quality Assurance (ENQA), International Network for Quality Assurance and Accreditation Higher Education (INQAAHE) and European Distance and E-Learning Network (EDEN). The Agency is also affiliate member of European University Association (EUA). CYQAA applied for registration to the European Quality Assurance Register (EQAR), which has already confirmed that CYQAA’s initial application for inclusion is eligible. Registration to EQAR will allow the agency to internationalize its activities, further. CYQAA has also applied for recognition by the World Federation for Medical Education (WFME). The Recognition Team is scheduled to visit Cyprus in June 2019. Independent public institution established September 1st 2007. Duties are regulated by the Accreditation Act of 27th of March 2007. The institution is funded by and falls under the auspices of the Ministry of Science, Innovation and Higher Education. The institution performs accreditations independently of the Ministry and HEIs. The Accreditation Institution is composed of two entities: the Accreditation Council, which is tasked with the accreditation and approval of university study programmes; and the agency, ACE Denmark, which is responsible for the analysis and preliminary assessment of programmes. The institution performs pre-accreditation, accreditation and approval of programmes at a higher educational level. Furthermore, the institution is inter alia working on developing methods and techniques for quality assurance, gathering and disseminating of relevant national and international accreditation experiences, and contributing to the further development of the accreditation concept. The Accreditation Institution is a member of INQAAHE, EQAR, NOQA, ENQA and EUA. We have ongoing projects with ENQA, NOQA and EUA. Furthermore, we are in the process of delivering data to the Qrossroads database. Membership reconfirmed 15 September 2016. Estonian Quality Agency for Higher and Vocational Education (EKKA) is a structural unit of the Archimedes Foundation which is an independent body established by the Estonian government with the objective to coordinate and implement different international and national programmes and projects in the field of training, education and research. EKKA was set up in 2009 to continue the work of the Estonian Higher Education Accreditation Centre. EKKA is funded by the Ministry of Education and Research and supervised by the Supervisory Board of the Archimedes Foundation. EKKA is independent in developing its principles and procedures for quality assessment and in adopting assessment decisions. The Estonian Higher Education Quality Agency (EKKA) is a leading competence center in the field of external evaluation of educational institutions in Estonia. EKKA acts in accordance with agreements and trends in the European Education Area, retains information about trends and best practices also outside Europe, applies up-to-date know-how tailored for a local context, and employs analyses of the results of external evaluations to enhance competitiveness of the Estonian educational system. EKKA’s mission is, in cooperation with its partners, to promote quality in the field of education and thereby increase the competitiveness of the Estonian society. performing other functions assigned to it by legislation, including providing accreditation of study programme groups in vocational education and training. To achieve its objectives, EKKA uses a peer review system consisting of self-evaluation report of HEIs and assessment report by the international (or mixed) panel (academic experts, student and labour market representatives). EKKA Quality Assessment Council uses these reports as a basis for its assessment decisions. The Council`s decisions are final concerning the institutional accreditation and the assessment of study programme groups. No separate public pool is available on EKKA’s website. An overview of the international activities and references to the QA activities abroad is available here. EKKA is included in the European Quality Assurance Register for Higher Education – EQAR. Under new legislation, enacted on 1 May 2014, the Finnish Education Evaluation Centre (FINEEC) has been established as the single body with responsibility for external quality assurance in Finland. The new agency incorporates the competences and activities of three existing organisations: the Finnish Higher Education Evaluation Council (FINHEEC), the Finnish Education Evaluation Council and the National Board of Education’s Unit for Evaluation of Learning Outcomes. According to the new legislation, FINEEC, which is established as a government agency under the Ministry of Education and Culture, is the legal successor of the three aforementioned QA bodies. A co-ordinating and implementing expert organisation independent of both educational administration and institutions of higher education. FINEEC does not make administrative decisions. FINEEC conducts evaluations of higher education institutions. It also supports HEIs in matters related to quality assurance and evaluations and develops its evaluaton activities. The Council organises evaluations of quality work and institutional, programme and thematic evaluations. It provides advisory and consultancy services in the implementation of the evaluations, develops evaluation methodology and disseminates good Finnish and international practices to HEIs and the Ministry of Education. Audits of quality systems of HEIs, thematic evaluations and reviews of engineering programmes. FINEEC is an ENQA full member, registered in EQAR and very active in the Nordic NOQA network and the Quality Audit Network. Quality audit, engineering programme review. The “Commission des Titres d’Ingénieur (CTI)” was established in 1934 by the French law as an independent commission whose members are both professionals from industry and academics. CTI is managed by its permanent staff and an administrative operator that became in 2009 an association of public interest. Concerning its financial resources, 45% of its funds come from the Ministry of Higher Education and 55% comes from a direct contribution from the higher education institutions. To guarantee that engineering degrees are delivered according to appropriate quality standards. To ensure that the final competence profile of engineering graduates enables entry to the engineering profession. In order to fulfill its mission, CTI has established a general engineering graduate profile and minimum quality standards that all engineering degrees should fulfil. Preparation of the self-evaluation report by the higher education institution. CTI has published a self-evaluation guide for the HEIs and organizes a HEI information session on a yearly basis. CTI is authorized by French law to accredit programmes abroad. These programmes obtain a recognition by the French government. Currently, CTI is active in several European and non-European countries (Belgium, Bulgaria, Burkina Faso, China, Switzerland, and Vietnam). Apart from international accreditation activities, CTI is a member of ENQA (full member), ECA (European Consortium for Accreditation) and FrAQ-Sup (francophone network of quality assurance agencies). CTI is also a member of ENAEE (European Network for Accreditation of Engineering Education) and one of the 14 agencies entitled to deliver the EURACE label (a European quality label for engineering studies). Programme accreditation, engineering education, EUR- ACE label, international accreditation. Membership reconfirmed 15 September 2014. Created by the Law No. 2013-660 of 22 July 2013 relative to higher education and research, HCERES has replaced the AERES as from 17 November 2014. Its organization and its functioning are specified in the decree No.2014-1365 of 14 November 2014. HCERES has independent administrative authority status and is directly funded by Parliamentary vote and is not financially monitored: only the French Court of Auditors is authorised to keep a tab on HCERES’expenses once they have been made. conducting a posteriori evaluation of investment programmes and private bodies receiving public funding intended for research or higher education. HCERES may take part in evaluating foreign or international research and higher education organisations. It also includes an Observatory of Science and Technologies (OST) responsible for strategic research and analysis. Each evaluation is based on a self-evaluation prior to the assessment of the entity by the agency (institution, research body and degree programme) in a global process of integrated evaluation. All assessments are peer review system (experts) for qualitative evaluation completed by analysis of quantitative data and use of indicators with an on-site visit. Each entity is evaluated every 5 years. Assessments aim to identify strengths, weaknesses and recommendations for the improvement of higher education and research. Each report with the observations of evaluated entities is published on the website of the agency. Evaluate agencies or foreign institutions in Europe and at international level (examples in Saudi Arabia, Armenia, Vietnam) and provide expertise to foreign agencies in creation or development (Lebanon, Morocco). Actively participate in European and international networks (ENQA, INQAAHE, G8 research, EUA) and develop a network of cooperation with equivalent foreign agencies (NIADE-UE in Japan, CNA in Colombia, CONEAU in Argentina, CONSUAN in Andin countries, CEEC in Québec, VISTEC in Vietnam). Provide our methodologies with a European and international benchmarking in the field of quality assurance in higher education and research, including internationalisation processes, and learn to improve French practices. Evaluate the activities carried out abroad by French institutions and research organizations (including cross border education and joint degrees). Integrated evaluation, quality, performance, institution, research, degree programme, international cooperation. Registered organisation governed by HEIs. Quality assurance accreditation in higher education teaching and studying. Evaluation of the reasons for the introduction of the new programme, its objective and relevance, contents and curricular design, examination procedures and standards, quality assurance measures, teaching and learning methods, successfulness and institutional support, infrastructure and resources. Membership reconfirmed 14 February 2017. AHPGS is a legally-recognised and independent non-profit accreditation agency. The aim of program accreditation is to evaluate subject-specific concepts on which study programmes are based and to assess the quality of the programmes and their teaching. Additional goals are to ensure the quality of the study programmes, to promote flexibility and coherence within them, and to improve the transparency of the German higher education system. Regarding institutional audits, the aim is to provide higher education institutions (HEIs) with the possibility of enhancing their internal mechanisms and quality management processes. It determines whether, and to what extent, higher education structures and control functions serve to achieve their set aims. The procedure also provides an improved tool for the management of the HEI and can be used as a non-binding precursor to institutional accreditation or system accreditation, as well as to increase competitiveness. The accreditation procedures of AHPGS include a self-assessment report by the programme or the HEI under evaluation; systematic analysis of the report by the review committee; an on-site visit by the committee; the production of the final report by the committee; and a final accreditation decision by the AHPGS Commission based on the aforementioned reports. The AHPGS conducts its activity alongside various institutions of higher education. The subject of its work especially regards particular competences related to study programs in the fields of health and social sciences. Presently, the AHPGS has successfully accredited more than 1,155 national and international study programs at about 120 higher education institutions. The AHPGS is connected both nationally and internationally, and uses these relations in order to maximize the quality of its own work processes. From its beginning, the AHPGS has made an effort to promote constructive cooperation – not only with the Accreditation Council, but also with other accreditation agencies in Germany. AHPGS also maintains excellent relations with foreign accreditation agencies as well as the relevant international networks for quality assurance. Currently, the AHPGS’ international activities include accreditation and evaluation procedures in Austria, Hungary, Lithuania, the Netherlands, Oman, Romania, Saudi Arabia and Switzerland. Non-profit, registered association. Established in 1999 by its members, an alliance of universities, universities of applied sciences, chambers of engineering, technical and scientific associations and professional organisations, specialists and businesses as well as umbrella organizations of the social partners. ASIIN is funded solely through membership fees and accreditation fees. Organised as a membership-based, not-for-profit association under German law, ASIIN e. V. is carried by a broad coalition of academic and professional associations and higher education institutions. All activities of ASIIN e. V. are aimed at securing and further expanding high standards and the quality of higher education – within Germany and internationally. ASIIN operates internationally on a private-law base but is located in Germany and authorized as an agency under the respective national public law in Germany and Kazakhstan. ASIIN is authorized to award European quality labels in engineering (EUR-ACE®), informatics (Euro-Inf®) and chemistry (Eurobachelor®/Euromaster®). In the field of programme accreditation, ASIIN e. V. is specialised in reviewing degree programmes in engineering, informatics, mathematics and the natural sciences and all interdisciplinary combinations for these subjects. At the institutional level, ASIIN e. V. undertakes reviews of quality management systems at higher education institutions. The areas of expertise are reflected in the composition of its boards and committees which consist of national and international experts in the respective fields. The accreditation procedures carried out by ASIIN e. V. are based on the peer-review principle as well as on the principles of transparency, comparability and international compatibility – respecting the ESG in any case. They focus on the outcomes of the process under review and combine a fitness-for-purpose approach (checking the coherence of objectives and results) with a fitness-of-purpose approach (as the objectives must be demonstrated to reflect the interests of the stakeholders in the respective process). Further requirements stipulated by national legislation are duly considered. The ASIIN General Criteria describe the principles according to which the accreditation procedures are designed as well as the requirements for the accreditation of degree programmes. They can be accessed on this webpage. The criteria for institutional accreditation are available here. The expert teams are formed by the relevant Technical Committee(s). The subject-related accuracy of fit of the Audit Team is a major concern of ASIIN e. V. and part of the agency’s quality principles. Principles for the selection of experts are determined in the ASIIN General Criteria for programme accreditation, found here. The respective principles for institutional accreditation are published here. The international activities of the agency include the offer of quality reviews or accreditation procedures outside of Germany, support in shaping European or international networks and organisational forms for a mutual coordination of (subject-related) quality expectations, criteria and procedures and the mutual recognition of the relevant quality seal as well as cooperation with other national or international players in the area of quality assurance of higher education for an information exchange and mutual reflection, and for the generation of joint quality concepts. In these areas, ASIIN is active in western, central and eastern Europe, the Balkans, the Caucasus and Central Asia, the Arab region, Africa, Latin America as well as Southeast Asia. ASIIN has been a partner or grantholder in several EU-financed projects. Membership reconfirmed 30 November 2016. AQAS is a non-profit, registered organization that is independent from HEIs and functions outside of HEIs. The board and the three commissions comprise members of higher education institutions, members from professional practice and student representatives. The office of AQAS is based in Cologne. AQAS provides accreditation for study programmes from all academic disciplines not only in Germany but also internationally. Moreover it carries out accreditation procedures for quality assurance systems of HEIs in Germany. Programmes are accredited for a limited period of time and then need to be re-accredited. AQAS has wide experience in the accreditation of joint and double degree programmes. AQAS is one of currently eleven accreditation agencies in Germany. It first received accreditation from the German Accreditation Council (Akkreditierungsrat) on February 14th, 2002 for the duration of five years. Since then, the accreditation was renewed twice and is valid until February 2017. Membership reconfirmed 4 May 2017. Evalag was established in 2000 as a foundation under the terms of Public Law, a non-governmental body which is partly endowed by the Ministry of Science, Research and the Arts of Baden-Württemberg. In its activities, evalag is independent from government as well as from higher education institutions. Evalag is a centre of excellence for quality assurance and enhancement. It supports higher education institutions and other scientific institutions with its broad range of external quality assurance procedures, workshops and consulting services. The procedures used are based on the fitness for purpose approach and oriented towards quality enhancement of the institution. Evalag is active as a quality assurance agency for higher education within Germany and outside Germany. It is accredited as an accreditation agency for programme and system accreditation in Germany. Evaluation (based on peer review and empirical data), audit procedures (based on peer review), accreditation (based on peer review), peer review procedures for research proposals, workshops, consultancy. Audits of quality management: key points of quality management; study programmes: rules and criteria for programme accreditation; quality assurance systems in study and teaching: rules and criteria for system accreditation; evaluation: criteria developed with regard to object, objectives and purpose of the procedure. Evalag has a pool of more than 800 experts. For each quality assurance procedure, evalag selects a team of (international) experts tailored to the procedure and the institution to be reviewed. Since 2010, evalag is registered with EQAR and offers all its services internationally. Special international services are programme accreditation, which accredits study programmes according to the respective national criteria, and institutional accreditation, which accredits an institution based on the fitness for purpose approach and evalag’s criteria for institutional accreditation. Upon successful accreditation evalag awards its institutional quality label. Evalag has carried out projects in Austria, Lebanon and Lithuania. Evalag is an active member of ENQA and INQAHEE and cooperates with European quality assurance agencies. Membership reconfirmed 26 November 2014. The leading organisations of Swiss, Austrian and German industry established FIBAA in autumn 1994 as an international foundation. Right from Day One, the intention was to develop a strict Assessment Guide for quality assurance in the field of higher education. The purpose of FIBAA is to promote the quality and transparency in education and science by awarding quality certificates to educational programs and education institutions in the areas of higher education and continued professional development. FIBAA pursues this objective specifically by developing suitable methods and tools, and by applying them. It defines guidelines for the respective qualification target of educational programs and providers of educational resources, and sets up internationally qualified commissions for the purpose of accrediting, certifying and evaluating both domestic and foreign educational programs and providers of educational resources. FIBAA is internationally networked and works closely within the framework of international bodies to enhance the comparability of quality standards and quality management procedures. FIBAA has a pool of assessors at its disposal made up of more than 400 proven international experts in their respective fields (the list of experts can not be viewed because of data protection). Further information are available here. FIBAA is actively networked with relevant bodies and working groups in the field of quality assurance in higher education at national and European level in order to advance the development of quality standards for its clients and to make the experience it has gained in the higher education and accreditation scene in various countries productive for its accreditation processes. The acquired development status of the specialist know-how and the FIBAA Tool Kit makes it highly inter-connectable with various national agencies operating across many countries. FIBAA’s clients profit from this. They can be sure that a FIBAA Quality Seal will serve as a sign of cross-border qualification. Common foundation of all Lower Saxon HEIs. Boards comprise members of HEIs in Germany and abroad as well as members of professional practice. All universities and HEIs in the Federal Republic of Germany. All subjects and scientific fields. The first German agency accredited by the Accreditation Council in Bonn. To assure and improve quality in higher education, to advise HEIs and governments on evaluation and accreditation procedures. Evaluation: Recommendations to HEIs concerning the improvement of teaching and learning as well as performance, publication of evaluation reports. Accreditation: Recommendations to ministries of science and education regarding the approval of Bachelor’s and Master’s degree programmes, awarding accreditation certificates, discussion and definition of minimum standards. Evaluation: self-assessment, external evaluation, audit teams. Accreditation: Peer review, quantitative and qualitative data analysis, site visits, assessment at the institutional and programme level, re-accreditation. The Hellenic Quality Assurance and Accreditation Agency (HQA/ADIP) was established in 2005, according to Law 3374/2005, as an independent administrative Agency responsible for quality assurance in HEIs, under the legal supervision of the Minister of Education and Religious Affairs. Later, Law 4009/2011 provided for HQA to take over additional responsibilities in relation to accreditation of internal quality assurance systems of HEIs and study programmes. The Agency is governed by its President and the Council which is comprised of 10 HEI professors, a representative of the research centres and a common representative of the Technical, Geotechnical and Economic Chambers of Greece. HQA is responsible for both quality assurance and accreditation in higher education. The goal of HQA is to establish and implement a uniform quality assurance system to be used as a reference system for the work and achievements accomplished by HEIs. Furthermore, HQA’s objective is to collect and codify all crucial information which will enable the State to effectively support higher education in Greece. In order to accomplish its objectives, HQA collaborates with and supports HEIs in their effort to maintain good quality in higher education, thus boosting the confidence of Greek society in the educational system. The evaluation and accreditation procedures, the regulations, and the procedure of quality assurance over the Agency itself are transparent and open to public scrutiny. To achieve its objectives, HQA’s evaluation procedures are based on the following: self-evaluation report of HEIs, site visit and review report by an international panel of experts (members of academic staff and labour market representatives) as well as on the principles of transparency and international compatibility, particularly with regards to ESG. The HQA compiles and maintains a register of 6,000 international experts and specialists of quality assurance on the basis of criteria defined in article 8 of Law 3374/2005 and forms committees of external evaluators in order to review the HEIs. HQA became a full member of ENQA on June 16th 2015 after an 8-year period under the affiliate status. It is also a full member of INQAAHE since 2014. The members of HQA’s Council and administrative staff participate in numerous conferences and workshops led by ENQA and other associations for quality assurance in higher education. The Council Members also participate in international committees of external evaluation and undertake professional or research collaborations with HEIs worldwide. Membership granted on 16 June 2015. In accordance with the agency’s independent nature, it collaborates with all actors interested in the life and progress of ecclesiastical universities and faculties: the institutions themselves, the Congregation for Catholic Education, the Episcopal Conferences, all regional, national and international authorities, and all those who work in the various dioceses of countries in which ecclesiastical academic institutions are based. The agency, established by the Supreme Pontiff Benedict XVI on September 2007, is an institution connected to the Holy See. The Agency collaborates with academic institutions in defining internal procedures to evaluate the quality of teaching, research and services, which is done through the development and use of appropriate operational tools (guidelines, questionnaires, databases, information networks, etc.). AVEPRO also organises external evaluation procedures for individual academic institutions and arranges visits to them by experts. Moreover, AVEPRO is developing guidelines to support the institutions in producing their strategic plan. AVEPRO’s activities are regulated by the Apostolic Constitution “Sapientia christiana”, and it conforms to the European Standards and Guidelines, as well as other international agreements concerning rules and procedures for the evaluation of quality in higher education. The agency assists ecclesiastical institutions in Europe – 180 Faculties inserted in more than 100 institutions scattered across 18 countries – to position themselves in the new higher education landscape by developing an effective and coherent QA process. The institutions vary widely in size, organization, specific mission, cultural background and national context. Membership granted 19 February 2014. HAC was founded in 1993 and became a full ENQA member in 2002. It is an independent professional body, financed through Parliament (c.a. 80%) and accreditation fees (c.a. 20%). Of its 20 members, the minister delegates 9, the Hungarian Rectors’ Conference 3, the Hungarian Academy of Sciences 2, the Hungarian Academy of Arts 1, religious legal entities maintaining higher education institutions 2 members, the Hungarian chamber of Commerce and Industry 1, the National Union of Students 1, and the Association of Hungarian PhD Students 1 member. HAC is a national expert body promoting the supervision, assurance, and evaluation of the quality of higher education. Its scope of activity comprises the accreditation and re-accreditation of universities and colleges, the accreditation of new and operating degree programmes, doctoral schools, new two-year higher education vocational programmes, new universities and colleges applying for operating licences, and evaluates national qualification requirements, and university professorial applications. Ex ante evaluation of new institutions, qualification requirements, new programs, doctoral schools and university professorial appointments based on extensive applications based on HAC guidelines; ex post institutional evaluations and program evaluations in disciplinary groups every five years that involve self-evaluations in line with HAC guidelines, site visits by external experts and their report, which are published on the HAC website. Follow-up and appeals procedures are also part of the system. Disciplinary evaluations include in-depth analyses of the particular fields evaluated. With the exception of applications for professorial appointments, which are submitted to the HAC by universities, all applications are submitted to the Hungarian Educational Authority, which requests the HAC’s expert opinion. Available here (in English, selection). Available here via database (in Hungarian). HAC is a member of ENQA and continues its memberships in INQAAHE and the Central and Eastern European Network of Quality Assurance Agencies CEENQA. Several HAC members participate as experts in foreign institutional and programme evaluation procedures (Lithuania, Estonia, Romania, etc.). Staff member Christina Rozsnyai continues as CEENQA Secretary General, and is on the Boards of AQ Austria as well as ENQA. She participates regularly in institutional evaluations for EUA/IEP and in agency evaluations. In 2011 the National Committee on Foreign Medical Education and Accreditation, NCFMEA, in the U.S. has again examined the HAC’s accreditation practices relating to medical schools. At its October 2011 meeting NCFMEA has accepted the HAC’s procedure and continues to re-confirm HAC. HAC has participated in numerous international projects. Membership reconfirmed on 13 September 2018. QQI (Quality and Qualifications Ireland) is an independent state agency established by the Quality Assurance and Qualifications (Education and Training) Act 2012 with a board appointed by the Minister for Education and Skills. The Board includes an international member and two learner representatives. QQI has a broad range of functions relating to the external quality assurance of further and higher education and training in Ireland; the National Framework of Qualifications (NFQ); and the awarding of the International Education Mark (IEM). QQI is responsible for establishing quality assurance (QA) guidelines and for reviewing the effectiveness of QA at the level of the institution across further and higher education in Ireland. This includes the universities, institutes of technology, Education and Training Boards (ETBs) and providers in the private further and higher education and training sectors. QQI validates programmes (ex-ante programme accreditation) for independent providers in further education (public and private providers) and higher education (mainly private providers) and we set standards and make awards on the NFQ in respect of those validated programmes. In the area of qualifications, we maintain the ten-level NFQ and any associated recognition. We are the NARIC centre for Ireland (NARIC Ireland) and provide recognition advice on foreign qualifications. Institutional evaluation of quality assurance and capacity for new (private) providers seeking QQI programme level recognition. Ex-ante Programme validation and periodic programme review (provider-led revalidation) for established providers, including research accreditation. Authorisation of the International Education Mark (IEM) following institutional QA evaluation and periodic evaluation of compliance with the statutory Code of Practice for providers of English language training to international students. Annual monitoring and reporting activities with a range of providers – A programme of dialogue and engagement with autonomous providers. QQI publishes all of its policies, procedures and guidelines and all evaluation reports including external institutional reviews (and follow-up reports) and programme validations. QQI takes a leading role in international developments in higher education, standards and quality. We have established good working relationships with other national quality assurance and qualifications agencies and international networks for qualifications recognition and for quality assurance activities. We continue to establish Memoranda of Understanding with agencies from other jurisdictions (including the UK, Honk Kong and Malaysia). As many Irish higher education providers makes awards outside of Ireland (mainly in Asia), QQI is responsible for the external quality assurance of these providers wherever they are operating. QQI advises government departments and other international stakeholders on quality assurance and qualifications matters in Irish higher and further education and training. QQI facilitates visits from international delegations for quality assurance and qualifications agencies and other national bodies. QQI continues to establish policies and arrangements for dealing with Irish provision delivered through transnational education (TNE). IAAR is nongovernmental and nonprofit organization. It was established in 2011 on the initiative of former experts engaged in accreditation procedures for the National Accreditation Center. The agency receives no funding from the state. Its funding derives entirely from the income received through the payments made by institutions and organisations, and various QA projects. IAAR is a nonprofit organisation which has a status of a legal body, created to improve the competitiveness of higher education institutions, also technical and professional organisations of the Republic of Kazakhstan on national and international levels by conducting the procedures of institutional and programme accreditation and academic ratings (rankings). It also carries out consultancy and support work to assist institutions in the development of their internal quality assurance and prepare them for accreditation. The agency also has systematic follow up procedures (post accreditation monitoring) to monitor and support institutional development after accreditation. The methodology of the IAAR in the field of accreditation is determined by the concept, principles and content of education quality evaluation. External evaluation is based on the principles of objectivity, integrity, openness, transparency, reliability of sources of information, compliance with ethical standards. IAAR Regulations on QA activities available here. IAAR has a pool of more than 1800 experts. The list of experts is not publicly available because of personal data protection, but recommendations for experts for specific subjects are available upon request from expert@iaar.kz. IAAR is an active member of ENQA, INQAAHE, CEENQA, CIQG, AQAAIW, IREG, APQN. IAAR concluded agreements on bilateral cooperation with Agency for Development of Higher Education and Quality Assurance (HEA, Bosnia and Herzegovina), the Center for Academic Information (Riga, Latvia), Agency for Quality Assurance in Higher Education and Career Development (AKKORK), The Institute for Sustainable Innovative Technologies (ISIT), The Accreditation, Certification and Quality assurance Institute (ACQUIN), National Accreditation Agency (NAA), Foundation for International Business Administration Accreditation (FIBAA), Akkreditierungsagentur für Studiengänge der Ingenieurwissenschaften, der Informatik, der Naturwissenschaften und der Mathematik e.V. (ASIIN e.V. ), National Centre for Public Accreditation (NCPA), The Accreditation Council for Business Schools and Programs (ACBSP). Membership granted 30 November 2016. IQAA is the first ever independent quality assurance agency in Kazakhstan, established in 2008. It is a non-governmental and nonprofit organisation. IQAA is listed in the National Register of Accreditation Agencies of Kazakhstan since its inception in 2012. The Agency functions on the basis of fees from educational institutions, QA projects and other types of revenues. It doesn’t have state funding. The Agency is autonomous in developing quality assurance standards and carrying out accreditation of higher education institutions and study programmes. IQAA is independent from the government and higher education institutions. IQAA’s Accreditation Council, which consists of national and international experts as well as student and employer representatives, functions independently and is responsible for decision-making on accreditation of higher education institutions and study programmes. IQAA’s mission is to contribute to the improvement of quality of education, to increase the competitiveness of educational institutions of Kazakhstan at national and international levels and to promote a culture of quality among educational institutions and public consciousness. IQAA conducts institutional and programme accreditation of higher education institutions, scientific research institutions, TVET institutions, and professional development organisations. The Agency has Accreditation Committees for institutional accreditation and programme accreditation by the fields of studies. Appeals and Complaints commissions function to ensure the transparency of accreditation results. The Agency has an internal quality assurance system, and regularly collects feedback from all types of stakeholders to improve quality assurance procedures and ensure continuous development. The accreditation standards and other documents are publicly available. IQAA is a leading quality assurance agency in Kazakhstan in the terms of accredited higher education institutions and study programmes. Other types of IQAA’s activities include research on quality assurance of education, including participation in research projects and publication of thematic analyses, provision of latest information and news on quality assurance nationally and worldwide, participation and contribution in the matters related to legislation and policy in the field of quality assurance on national level, organisation of national, regional and international conferences and trainings on quality assurance, international cooperation, etc. IQAA pioneered publication of independent academic rankings of higher education institutions in Kazakhstan in 2008, and publishes them under the provision of a separate entity IQAA-Ranking. Consistent follow-up procedures (post-accreditation monitoring). The methodology for accreditation is based on the principles of integrity, transparency, independence, ethics and accountability. IQAA Standards for Institutional Accreditation of Higher Education Institutions are available here. IQAA Standards for Programme Accreditation of Higher and Postgraduate Level Study Programmes are available here. IQAA Guidelines for External Review are available here. IQAA has an extensive database of more than 2000 external review experts, including international experts from more than 30 countries. The Agency provides regular training to its pool of experts, including training before peer reviews. All external experts have qualifications by profile and function in accordance with the Experts’ Code of Honour. Each external review panel includes national and international experts, representatives of students and employers, and a coordinator (s) from the agency. External review reports, which are publicly available, contain information on the composition of external review panels. The database of experts is not publicly available, but information on experts by profile can be provided upon request. More information is available here. IQAA is actively involved in promoting international cooperation in quality assurance of higher education. IQAA is a member of the European Association for Quality Assurance in Higher Education (ENQA), and was an affiliate of the Association since 2008. IQAA is a member of a number of other international quality assurance associations and networks: International Network for Quality Assurance Agencies in Higher Education (INQAAHE) since 2008, Central and Eastern European Network of Quality Assurance Agencies in Higher Education (CEENQA) since 2014, Asia-Pacific Quality Network (APQN) since 2008, CHEA International Quality Group since its establishment in 2012, and a founding member of the IREG Observatory on Academic Ranking and Excellence since 2009. IQAA regularly participates in conferences organised by international associations and networks, which helps to incorporate international best practice and newest trends in quality assurance with an aim to contribute to the progress of higher education in Kazakhstan. IQAA has bilateral cooperation agreements with 12 QA agencies from Europe and around the world. IQAA participates in international conferences organised by quality assurance agencies from other countries to share the experience of quality assurance in Kazakshtan. The Agency has participated in Erasmus+, Council of Europe, the World Bank and other international projects on higher education and quality assurance capacity building. Further information is available here. Membership granted 13 February 2017. Academic Information Centre is a public non-profit foundation established in 1994. According to the amendments to the Law on Institutions of Higher Education it was authorised to organise external quality assurance of tertiary education in Latvia in 2015. The function of the quality assurance is performed by a department of the Academic Information Centre – Quality Agency for Higher Education (AIKA) which promotes the improvement of quality of Latvian higher education and contributes to the development of quality culture and its maintenance in accordance with the standards and guidelines for quality assurance in the European Higher Education Area. The agency’s revenue consists of a state budget allocation, fees paid for accreditation and licensing services and income from projects. The agency is responsible for organising external quality assurance for tertiary education in Latvia – licensing of study programmes, accreditation of study directions (groups of study programmes) and accreditation of higher education institutions. The agency is authorised to autonomously develop its procedures according to the general framework set by the Cabinet Regulations. The agency has a developed set of methodology and guidelines for each type of procedures. The methodology describes the steps of the procedure whereas the guidelines describe the detailed assessment criteria. The evaluation cycle is defined in the methodology and includes a self-assessment report, site-visit, report by the experts, a decision by the relevant decision-making body and a mandatory follow-up procedure. The agency is an active member of the CHEA International Quality Group (since 2018), the European Consortium for Accreditation in higher education (since 2017), Central and Eastern European Network of Quality Assurance Agencies in Higher Education (since 2016) and the International Network for Quality Assurance Agencies in Higher Education (since 2015). It has an informal collaboration network with the Baltic and Nordic quality assurance agencies. The agency actively participates in different international projects related to quality assurance issues and implemented jointly with other quality assurance agencies and/or networks (ERASMUS+, Twinning etc.). Membership granted on 21 June 2018. The SKVC is an independent organisation, founded in 1995, established by the Ministry of Education and Science of the Republic of Lithuania and partly financed from the State budget. Agency’s role: to increase awareness of the quality of higher education and promote its improvement. Evaluation of the quality of higher education (by institutions and by programmes), credential evaluation (of foreign HE qualifications and qualifications giving access to HE); provision of information on HE systems and qualifications’ recognition; other functions in accordance with legal acts. Scope of authority: All higher education institutions in Lithuania (universities (academies) and colleges of higher education, state and private institutions). Institutional evaluation and accreditation is based on evaluation of learning resources, self-evaluation report, site visit, review report by independent international experts, follow-up. Evaluation of study programmes and accreditation is based on self-evaluation report, site visit and review report by independent experts. Evaluation and accreditation of new study programmes is based on documentation review, and in some cases – by experts’ visit to the institution and a review report. The list of experts is not publicly available because of personal data protection. Recommendations provided by request, upon consent of a person. Favourable mobility conditions are ensured by the Centre’s active participation in ENIC/NARIC networks (full membership since 1999). Membership reconfirmed 21 June 2017. NQA is a Dutch based, private organisation established by the end of 2006. The Dutch system of accreditation of HE degree programmes is a two-tier model in which quality assurance agencies, such as NQA, carry out assessments of degree programmes. The degree programmes use the outcomes, an assessment report, to request (re-) accreditation which is decided upon by the Dutch Flemish Accreditation Organisation. It is NQA’s solid key objective to conduct assessments of degree programmes of universities of applied sciences. Furthermore, NQA carries out research evaluations, EVC audits and several other services connected to quality assurance in HE: training and projects related to (alignment of) the internal and external quality assurance systems and regarding quality culture. The assessments of degree programmes are organised as peer-reviews starting off with a document study, followed by interviews with representatives and stakeholders of the HE degree programme (site-visit). The assessment is focused by the accreditation framework. To ensure its quality objectives, NQA nourishes a process that includes the input of all four panel members (peers), an internal quality assurance mechanism that incorporates the four-eye principle and that allows the degree programmes to check the report on factual errors. An overview of our secretaries/auditors is available here. Furthermore NQA has a pool of over 1.500 potential domain experts (peers) to match the variety of degree programmes, to meet the demands our national accreditation framework (ESG-proof). NQA has staff members that are certified to conduct ECA assessments. NQA organised assessments for universities on Curacao and on sites of Dutch UAS in Indonesia, Qatar and South Africa. In a more distant past, NQA contributed to several (external) quality assurance projects in Switzerland and Vietnam. NVAO is the independent and binational accreditation organisation set up by the Dutch and Flemish governments, whose primary goal it is to provide an expert and objective judgement of the quality of higher education in Flanders and the Netherlands. Internationalisation activities related to quality assurance in higher education. Assessment frameworks, peer reviews including site visits. A list of NVAO certified secretaries is available here. Playing an active membership role in international networks of accreditation and quality assurance organisations. NVAO is providing the secretariat for the International Network for Quality Assurance Agencies in Higher Education (INQAAHE) and the European Consortium for Accreditation (ECA) and is also a member of INQAAHE, ECA and the European Association for Quality Assurance in Higher Education (ENQA). Pro-actively following up on international developments in quality assurance and higher education. NVAO is included in the European Quality Assurance Register for Higher Education (EQAR) which means that NVAO substantially complies with the European Standards and Guidelines for Quality Assurance (ESG). Membership reconfirmed 13 September 2017. External quality assessment is based on a critical self-study and on external programme review by experts (visiting committee). Accreditation by the NVAO. Ministry of Education and Research. Professional and independent governmental agency. NOKUT is an internationally recognised quality assurance agency. The agency serves to create public trust in the quality of Norwegian higher education, tertiary vocational education and recognised foreign education qualifications. NOKUT’s responsibility also covers general recognition of foreign higher education qualifications. Evaluate the institutional systems for quality assurance (audits), accreditation of institutions and programs, revision of accredited institutions and programs and carry out other evaluations. Audit-evaluations, institutional evaluations, thematic evaluations, evaluations of study programmes; recognition of foreign higher education qualifications. Membership reconfirmed 21 June 2018. Independent statutory body established by the Higher Education Act. PKA is financed from the state budget. PKA performs programme and institutional assessment as well as gives opinions on applications for the establishment of new higher education institutions, the extension of permits for the establishment of non-public institutions, and for the authorisation for higher education institutions to establish new degree programmes. Self evaluation, site visits, written reports, published quality rating, and a follow up procedure. Member of ECA, ENQA, INQAAHE, listed in EQAR. PKA concluded mutual agreements of recognition of qualifications with FH Council (FHR), Commision des Titres d’Ingénieurs (CTI), Austrian Accreditation Council (ÖAR), Organ für Akkreditierung und Qualitätssicherung der Schweizerischen Hochschulen (OAQ), Nederlands-Vlaamse Accreditatieorganisatie (NVAO), Agencia Nacional de Evaluación de la Calidad y Acreditación (ANECA) and cooperation agreements with Centre for Quality Assessment in Higher Education (SKVC) and National Center for Professional Education Quality Assurance (ANQA). Membership reconfirmed 17 October 2018. A3ES was created by Decree-Law 369/2007, of 5th November, as a private law foundation, established for an indeterminate period of time, with legal status and recognised as being of public utility. A3ES is independent in its decisions, subject to the general requisites fixed by the State. The Management Board has full capacity to make final decisions on the definition and approval of guidelines for assessment of institutions and programmes, the nomination of review panels and the decisions on individual accreditation processes. A3ES is not State-financed, apart from an initial endowment. Its income is generated through services provided to institutions. A3ES is responsible for promoting quality provision in higher education, assessing and accrediting higher education institutions (HEIs) and their degree programmes, and promoting the integration of Portugal in the European system of quality assurance of higher education. Current processes include compulsory ex-ante accreditation and ex-post assessment and accreditation of all degree awarding study programmes (1st, 2nd and 3rd cycles), as well as a voluntary institutional audit programme aiming to certify internal quality assurance systems within higher education institutions. Following the first 5-year assessment/accreditation round, a process of institutional evaluation will be carried out covering all HEIs. The Agency has a R&D unit responsible for producing information and analyses about the Portuguese HE system and for developing research in the field of QA. A3ES is the sole Agency with the authority to accredit higher education institutions and study programmes in Portugal. The assessment process includes the submission of a self-assessment report in the Agency’s electronic platform, a site visit, a preliminary assessment report, the possibility of a response by the HEI and a final assessment report by the panel with a recommendation to the Management Board to “accredit” / “not accredit” / “accredit with conditions” the degree programme. The decision on accreditation is made by the Management Board. It may follow or not the recommendation from the review panel, on a grounded basis. The HEI may appeal to the Appeals Council, which is an independent body within the Agency. The methodologies, norms and indicators used in the assessment/accreditation processes are available in the Assessment Handbook. The list of experts and their CVs may be viewed here. A3ES is an ENQA member since 18 June 2014 and is listed in the European Quality Assurance Register for Higher Education (EQAR). Pursuing its internationalisation policy, A3ES is also a member of the European Consortium for Accreditation (ECA) since June 2012 and is an invited partner of the CHEA International Quality Group (CIQG). A3ES is involved in several research and development activities in cooperation with ENQA and other relevant international entities, participates in Work Groups led by ENQA and every two years organises an International Conference on quality assurance themes. Information on the ongoing research projects, publications authored by A3ES researchers and its international conferences is available in the Agency’s website. A3ES cooperates with ANECA (Spain) and SKVC (Lithuania) in exchanging experts, has performed assessment of programmes in Macau in cooperation with the Local Administrative Authority, and cooperates with QA Agencies in Portuguese-Speaking African Countries and East Timor. Quality assurance in HE, programme assessment/accreditation, institutional audit, institutional assessment. Membership granted on 18 June 2014. ARACIS was established in 2005 by Government Emergency Ordinance, approved by the Parliament as Law in 2006, to enhance QA in Higher Education according to the ESG 2005. ARACIS took also over accreditation of study programs and institutions from the former Romanian National Council for Academic Evaluation and Accreditation. ARACIS is an independent, autonomous public institution of national interest, funded from evaluation fees paid by HE institutions on contract-based relations, and from projects. The external evaluation Methodology was developed by ARACIS and approved by Governmental Decision No.1418/2006, initiated by the Ministry of National Education and Scientific Research. Proposing to the Ministry of National Education and Scientific Research strategies and policies of permanently improving higher education quality, in close correlation with pre-university education. The current activity is performed according to the “Methodology for quality assurance, provisional authorization and accreditation of study programs and of higher education institutions”, which includes four parts: I. Principles of Quality Assurance in Higher Education; II. Criteria, Standards and Performance Indicators for Quality Assurance and Accreditation; III. External Quality Evaluation of Higher Education Institutions; IV. Applications Differentiated by Cycles of Academic Studies. Quality evaluation activities are detailed in the 4 parts of the Guide approved by the Council. Evaluation of master Study Domains has been initiated following a procedure which is still in progress to be finalized. The Methodology and Procedures follow the ESG 2005, transition to ESG 2015 in progress. Methodology for external evaluation, standards, standards of reference, and list of performance indicators of the Romanian Agency for Quality Assurance in Higher Education available here. Methodology for accrediting master study domains on the basis of accredited master study programs (in Romanian) available here. Specific Procedure for the External Periodic Evaluation of Accredited Master Study domains approved by Ministerial Order, published in the Official Gazette, Part I nr. 236/2014 (in Romanian) available here. ARACIS Procedure for master study domains, approved by ARACIS Council (in Romanian) available here. Registrul National de Evaluatori RNE (National Register of Evaluators) available here. Registrul National de Evaluatori_Studenti RNE_S (National Register of Evaluators_Students) available here. Membership reconfirmed 13 September 2018. AKKORK was founded in 2005 as an autonomous non-profit organization. There are Supervisory Council, Advisory Council, Accreditation Council and International Accreditation Council in AKKORK structure. Councils include members of HEIs in Russia and abroad as well as members of professional practice. AKKORK is seeking to contribute to the development of education institutions and to improve quality of the whole higher education system in Russia. AKKORK helps Russian HEIs to optimize the management and internal control systems, as well as to discover HEIs potential and competitiveness. The best Russian and foreign practices in the sphere of organization and management of realization of educational programmes. The Procedure of evaluation and accreditation includes the following general steps: self-evaluation by an educational institution; desk review of the self-evaluation report; on-site visit to the educational institution; submission of the reviewer’s reports to the AKKORK Advisory council and their approval; accreditation decision by the AKKORK Accreditation Council members; issuance of accreditation certificates to an educational institution in case of positive decision of International Accreditation Council. AKKORK team numbers more than 300 experts, who are united by common values and adherence to the quality of rendering services. AKKORK experts help execute purposes by close collaboration with education institutions. AKKORK experts have good knowledge and understanding of pressing issues that face an education institution today, as well as of secondary, higher, postgraduate and additional education field peculiarity. International quality group of the Council for Higher Education Accreditation (CHEA). Also AKKORK cooperates with FIBAA, ZeVA, Deva-AAC, TWAEA. Membership granted 6 March 2015. NAA operates under the authority of the Federal Service of Supervision in Education and Science. NAA is recognised as the organisation in Russia responsible for dissemination of knowledge and information on procedures of the state accreditation of HEIs. Develops materials and methodological recommendations for conducting self-evaluations and external reviews, trains experts, conducts research into the development of QA of higher education in Russia, prepares the final reports on the quality of the HEI. Methodological recommendations, research, training of experts. Membership reconfirmed 6 March 2015. NCPA is an autonomous nonprofit organization. It was established in 2009 on the initiative of the Guild of Experts in the Sphere of Professional Education. The procedure is financed by the HEIs. Recognizing the best educational programmes, determined on the basis of the results of external evaluations as best in the particular region, and in regard to specific fields of study. Accrediting the best educational programmes in alignment with ESG-ENQA, Federal State Educational Standards, and requirements of professional associations and regional labour market. Providing Russian HEIs with information and methodological support on the quality issues. Publishing information about the accredited educational programmes. Training experts in the field of higher education quality assessment in alignment with ESG-ENQA. Collaborating internationally with the purpose of promoting public accreditation in education. All educational programmes delivered in Russian HEIs participate in the project “The Best Educational Programmes of Innovative Russia”. Programmes recognized as the best in the region, and with respect to specific fields of study, receive the status of “candidates for public accreditation”. A programme holding this status submits an application for public accreditation. Internal and external evaluations involving review panels of experts consisting of representatives of academic community, foreign experts, employers and students are conducted. A final accreditation decision is made by the National Accreditation Board. The information on the accredited programmes is published in the Russian and English languages. Observatory on Academic Ranking and Excellence – IREG (full member since 2013). Since 2015 NCPA has been officially listed in the European Quality Assurance Register for Higher Education (EQAR). NCPA is actively engaged in bilateral cooperation with quality assurance and accreditation agencies of Europe and Asia. Membership granted 26 November 2014. The Slovenian Quality Assurance Agency for Higher Education (SQAA) is a public body established by the Republic of Slovenia to assure quality in higher education and to carry out development and consulting activities in this field. The agency took over the tasks of the Council for Higher Education of the Republic of Slovenia and started operations on 5 March 2010. In carrying out its work, SQAA is independent and autonomous; it operates according to the principles of professionalism, impartiality, legality, and political neutrality. SQAA is developing its principles and procedures for quality assessment in accordance with all stakeholders and adopting assessment decisions. SQAA is a monitoring institution in the Slovenian higher education area. It performs accreditations and external evaluations, which are part of the external system of quality assurance in higher education and higher vocational education. This is a fundamental activity of SQAA – on which quality assessment of a higher education institution as a whole, an individual study programme, or a higher vocational college – is based. SQAA establishes whether an institution or a college complies with the standards defined by the law, the agency’s criteria, and European standards. The external quality assurance system is based on self-evaluation, which is part of the internal quality assurance system in a higher education institution or a higher vocational college. SQAA uses a review system consisting of a self-evaluation report of HEIs and an assessment report produced by the independent panel of trained experts (a student member and an expert from abroad are mandatory). SQAA Council uses these reports as a basis for its accreditation and assessment decisions. There is a possibility to appeal the Councils’ decisions on several levels. The legislation of SQAA assessment procedures in quality assurances is available here. SQAA does not publish its list of trained experts, but this list or recommendations for experts for specific subjects are available upon request from info@nakvis.si. SQAA keeps a register of local experts, organises periodical trainings and conferences for them, and cooperates with foreign quality assurance agencies or experts. SQAA has been listed in the EQAR register since 2013 and has signed MULTRA agreement with ECA. SQAA is a member and actively participates in the activities of INQAAHE (International Network for Quality Assurance Agencies in Higher Education), CEENQA (Network of Central and Eastern European Quality Assurance Agencies in Higher Education), and ECA (European Consortium for Accreditation). Membership reconfirmed on 13 December 2018. Develop, promote and manage research. Evaluate and accredit universities, teaching staff and the research activities conducted within the Andalusian System of Knowledge (SAC). Establish criteria, standards, indicators and methodologies of evaluation and improvement of the Andalusian System of Knowledge. Develop the implantation, in an objective and independent manner of follow-up, control and excellence systems in quality and research. Evaluate and conduct follow-up assessments of I+D+i programs, establishing mechanisms of joint accreditation with other quality assurance agencies. Promote innovation in higher education. All agents filing an application will have to send a SER with detailed description and analysis of the features and circumstances of their applications. Reports are evaluated by Commissions formed by members outside the Andalusian regional community. In the case of institutional evaluations a site visit is mandatory. All the information (except for personal data) is available online. The protocol of the evaluation programmes conducted by the DEVA includes a follow-up process. Detailed information regarding these processes is publicly available. The DEVA has developed different programs and procedures of evaluation according to the criteria for quality established by ENQA and making public all the information useful for the agents of the Andalusian System of Knowledge. Initially ad hoc groups were formed with members from the quality units operating in different universities and external experts with the purpose of developing and revising the criteria ruling the procedures of diverse programs. A data bank was created with the contributions of Vice-chancellors of quality, Vice-chancellors of innovation, Vice-chancellors of research and the Permanent Commissions appointed by the DEVA for each specific program. Once evaluation processes were finished, in order to guarantee that programs and procedures fulfilled the purposes they were designed for, the DEVA conducted satisfaction surveys. Results, useful inasmuch as they continue to help in the revision and updating of processes, guidelines and manuals, are posted on the DEVA’s webpage. More information is available here. Available on DEVA’s webpage, under the “Evaluation and Accreditation Bodies” heading. In 2014 the Evaluation and Accreditation Division (DEVA) of the Andalusian Agency of Knowledge (AAC) renews its presence as full member in ENQA. In this way it reconfirms its engagement with the European Standards and Guidelines and the principles of independence, objectivity, transparency, efficiency and equity in the service rendered to the Andalusian community. DEVA is member of INQAHHE and is listed in EQAR. Currently the agency has signed an agreement of collaboration with the Chilean Agency ACREDITACCIÓN and the Russian Agency AKKORK to develop joint activities in review and research. DEVA is also part of the “Alianza Internacional de Mutuo Reconocimiento de la Acreditación en Turismo, Hospitalidad y Gastronomía” established in Yucatán, Mexico, in March 2014. Membership granted 15 June 2016. ACSUCYL is independent from the regional government, directed by a Board of Directors. ACSUCYL was legally set up in November 2001 as the external assessment body for the university system in Castilla y León and is aimed at the assessment, accreditation and certification of quality at universities and research and higher education institutions in Castilla y León. In 2010, Law 12/2010 of 28 October updated its legal framework, adapting the regulation of its functioning and structure to the requirements set at European level for quality assurance agencies in the university area. ACSUCYL’s mission is to ensure quality in the university system in Castilla y León, contributing to its ongoing improvement, and thereby creating value for society. Since its establishment, the agency has focused its activities on the development of programmes for quality assessment of the universities in the Autonomous Region and enhancing the processes that lead to its improvement. ACSUCYL also collaborates in the processes of assessment, accreditation and certification of universities and higher education institutions outside the Autonomous Region of Castilla y León in the context of the European Higher Education Area. The main role of the agency is the evaluation, certification and accreditation of the activities related to the quality of the university system, and specifically the evaluation of teaching staff, degrees, research, as well as institutional quality. The agency also carries out cooperation and coordination activities both at national and international level. To achieve its objectives, ACSUCYL defines the evaluation process for each area of activity. The first evaluation of any evaluation processes is carried out by a panel of external experts from outside the Autonomous Region. After this evaluation, final decisions are taken by the Assessment Commissions in charge of the evaluation process. To guarantee the independence of the process, members from the Assessment Commissions are also from outside the Autonomous Region. Final reports include recommendations for improvement that are evaluated periodically; the period in which the follow-up is carried out depends on each process. ACSUCYL also develops, in some processes, on-site visits. When the evaluations are finished, the final reports are published on the website, and processes are reviewed in order to improve them. The list of indicators ACSUCYL uses to control its processes is available here. General information about experts working in ACSUCYL and access to the members of the Assessment Commissions are available here. The pool of experts for each of the evaluation programmes can be viewed on ACSUCYL´s website in the section corresponding to each evaluation programme under the title ‘Assessment Bodies’. The Axencia para a Calidade do Sistema Universitario de Galicia (Agency for Quality Assurance in the Galician University System) (ACSUG) was legally established on 2001 as a consortium between the Regional Government of Galicia and the three Galician universities: A Coruña (UDC), Santiago (USC) and Vigo (UVI). The agency is independent and has legal personality to achieve its objectives, fully respecting the university autonomy. ACSUG has established a clear difference in its structure and functions between the governing organs, the decision-making bodies and the advisory bodies. The fundamental mission of ACSUG is to contribute to improving the quality of the Galician University System (SUG). To do so, ACSUG takes actions in the area of drafting reports, evaluation, certification and accreditation for the activities conducted by Galician universities, especially related to teaching, research, knowledge transfer and management. ACSUG provides constant support to gathering and channeling information among the Galician universities, other institutions and social agents, contributing to help the SUG remain up-to-date and in line with ever-changing social needs at all times. – Assessment, certification and accreditation of institutions (programmes, services, teaching activity evaluation, Internal Quality Assurance Systems of the centres and other processes). – Labour market insertion analysis and surveys. – Evaluation of teaching staff prior to hiring in the Galician universities and evaluation of the teaching staff for the assignment of complementary compensations. ACSUG carries out its activities following public guidelines and procedures published in its website. 1) A self-evaluation process done by the applicants of the evaluation activity. 2) Independent and external assessment by review panels appointed by ACSUG. 4) Final decision about the evaluation. ACSUG has a general pool of experts (https://aplicaciones.acsug.es/evaluadores/login.php) but the general list of members is not public. In case of an agency is interested in the ACSUG pool of experts has to contact with us in the following emails: acsug@acsug.es luis.velon@acsug.es. ACSUG has always considered vitally important the establishment of relationships with other entities related to the university environment, both national and international. ACSUG is a full member of ENQA since November 2009 and it is included in the EQAR since November 2010. Since 2013, ACSUG has been also a member of ECA. The ACSUG has been developing an active role in the organizations: seminars, working groups, publications, e.g. Participation in two European Tempus Projects (CANQA and EDUCA) regarding the quality assurance in Central Asia. ACSUG has been doing since 2010 activities of evaluation and certification of degrees and faculties in the universities of San Martín de Porres (Peru), Néstor Cáceres Velásquez Andean (Peru) and Cancún and Xalapa Anahuac (México). Collaboration since 2017 with the Dominican Republic’s Ministry of Higher Education, to promote the implementation of a Quality System in the country. Independence, transparency, objectivity, stakeholders, feedback, continuous improvement, accountability, cooperation. ANECA is a public body funded by the Ministry of Education in charge of the evaluation and accreditation of higher education at the national level in Spain. ANECA acts independently from government through an Executive Director, and governed by a Council of representatives of stakeholders of the Spanish higher education system. The Agency receives funds from the Ministry of Education, Culture and Sport, as established in the State Budget. This income represents most of the Agency’s budget. The rest of the funds comes from its participation in international projects and the organisation of evaluations at the request of regional governments or higher education institutions. The budget is allocated by ANECA according to its Annual Plan related also to the Strategic Plan 2012-2016. The Annual Plans shows the fulfillment of the Agency’s mandates by the law and identifies the Unit in charge of its development. ANECA is subject to the audit process defined for the Spanish national Public Administration, as well as provides information to stakeholders and society about the activities undertaking in the Annual Report. ANECA’s mission statement is to contribute to improving the quality of the higher education system through the evaluation, certification and accreditation of university programmes, academic staff and institutional-level approach evaluations, as well as to report to the National Ministry and to the Universities Council on the development of its assessment processes. It has also been commissioned with providing information about the quality of the University System and with performing an important role in the relation to Spanish Stakeholders Council. ANECA’s actions cover the whole country. The activities performed by the Agency are related to the evaluation of programme degrees, academic staff and institutional-level approach evaluation. These activities are carried out through different ANECA evaluation Programmes. The Strategic Plan was conceived as an instrument for reflection and action that defined the strategic lines of action for ANECA until 2016. The preparation of this Strategic Plan involved an in-depth analysis of both ANECA and its context in order for strategic objectives regarding the optimum use of resources to be defined. The measures carried out every year are defined in the corresponding action plan and are established so as to comply with the specific objectives given in the Strategic Plan 2016. A set of indicators has been defined in order to verify the compliance of the strategic objectives included in the Strategic Plan. Every six months a measurement of these indicators is accomplished to check the performance of the objectives. The Annual Report of ANECA includes the result of this measurement, as well as its definition, objectives and the methodology. The list of experts related to each procedure run byte agency is published on the website of ANECA and updated periodically. Most of the bilateral or networking projects dealing with QA/accreditation issues are accomplished jointly with a fellow QA body or national authority. They can focus on capacity building activities outside Europe or QA problem-solving matters in both Europe and overseas. ANECA does not conduct either accreditation procedures or consultancy activities. outside Spain. As a public body any income derived from the international activities should be related to staff-hours invested and expenses related to trips for meetings but in any case linked to profit-revenues. Membership reconfirmed 25 October 2017. The origins of AQU Catalunya lie in the consortium, Agency for the Quality of the University System in Catalonia, which was established on 29 October 1996. In 2003, the consortium became the present-day agency. The agency is an independent body, and it is funded by the government of Catalonia. The Board of the agency is comprised of representatives from different higher education institutions, the government of Catalonia and independent members. The Catalan University Quality Assurance Agency, AQU Catalunya, is the main instrument for the promotion and assurance of quality in the Catalan higher education system. The purpose of AQU Catalunya is the assessment, accreditation and certification of quality in the sphere of the universities and higher education centres of Catalunya. AQU Catalunya reviews Catalan university degree courses, faculties and schools, services and institutions. Since 2011, the agency has implemented the Framework for the validation (ex-ante assessment), monitoring, modification and accreditation of recognised awards, the purpose of which is the life-long quality assurance and continuous enhancement of degree courses. Since 2003, AQU has carried out the pre-selection assessment of academic staff contracted at the public universities in Catalonia; since 2006, the agency has assessed the individual merits in teaching, research and management of teaching and research staff at Catalan universities within the framework of additional remuneration for academic staff. Fundación para el Conocimiento madri+d is a not-for-profit organization established under the initiative of the regional government of Madrid. Towards the end of 2013, Fundación para el Conocimiento madri+d absorbed the Agency for Quality, Accreditation and Prospective of the Universities of Madrid, ACAP, which was, up to then, the designated assessment body for the Madrid higher education system. It is funded by the government of Madrid, and its Board of Trustees is composed by representatives of the Regional Government, the Universities of Madrid, representatives of the Madrid Confederation of Employers and Industries (CEIM), representatives of the IMDEA institutes and the Spanish National Research Council, a representative of the Students Council of Madrid, a representative of a trade union, and other experts. As stated in its Articles of Association, FCM aims to improve higher education through evaluation and other reports leading to the accreditation and certification of quality in the university arena, as well as performance measurements of the public higher education service pursuant to objective procedures and transparent processes, considering the Spanish, European, and international framework. FCM is the designated assessment body of the region of Madrid (DECRETO 63/2014, Madrid region government), and according to this designation, it performs QA evaluations of official degrees, faculties, and institutional programmes. FCM also performs other activities related to the promotion and enhancement of regional R&D activities. FCM performs evaluation of official degrees, faculties, and institutional programmes of the universities of Madrid. Self Evaluation Report (SER), drafted by the applicant. Evaluation of the SER and related documents by a panel of experts. A site visit by the panel of experts. Drafting of a provisional report by the Evaluation and Accreditation Committee. Approval of the final report by the Evaluation and Accreditation Committee, with conclusions and details about follow-up processes. All the information about each process is available here. FCM has implemented an Internal Quality System according to ISO 9001:2008 certified by EQA. This IQS establishes and tracks the key indicators of each process in order to guarantee their correct operation. Information on the IQS and procedures is available here. Candidates access to the pool of experts is here. The compositions of the designated panels and committees can be viewed here. The Fundación para el Conocimiento madri+d aims to provide Madrid universities the opportunity to undergo accreditation of excellence and international recognition through foreign accreditors. The universities of Madrid will be able to obtain international accreditations of beyond the minimum currently offered at national level, with the Foundation acting as the intermediary agent between both and achieving active participation in these evaluation processes, whether in adapting to accreditation criteria or in active participation in the evaluation processes. Currently FCM has signed a Memorandum of Understanding and active collaboration with the National Architectural Accrediting Board (NAAB), the Accreditation Board for Engineering and Technology (ABET), and the Accreditation Council for Business Schools and Programs (ACBSP). Quality assurance, evaluation, accreditation, improvement, assessment. Unibasq performs its functions under the legal form of a public entity submitted to private law and attached to the Basque Government’s department responsible for universities; it is a legal person of its own, with full capacity to act and full control over its own capital resources for the purpose of performing its functions. The agency has its own budget, which it administers independently in accordance with the corresponding regulations of the Basque Autonomous Community. The Act 13/2012 governing Unibasq establishes separation between the functions of governance and evaluation. The purposes of the agency are to promote and ensure quality throughout the Basque university system; to provide society with information about the result of its activities and public administrations, universities and other stakeholders with information and guidelines for their decision-making processes. The object of the agency is the evaluation, accreditation and certification of quality in the Basque university system, taking into consideration its Spanish, European and international dimensions. The agency may also carry out the aforementioned activities at higher education institutions outside the Basque Autonomous Community within the context of the European Higher Education Area, on the basis of prior agreements with other agencies, universities or educational authorities. The agency shall be entitled to take part in the evaluation of other activities within the Basque system of Science, Technology and Innovation, and may also perform these same functions outside the Basque Autonomous Community, on the basis of prior agreements. Unibasq reviews Basque Country university study programmes and institutions. Since 2007, Unibasq has assessed the individual merits of academic staff for additional remuneration at the Basque Public University (UPV/EHU). Since 2008 the agency has carried out the pre-selection evaluation of academic staff contracted at the Basque Country universities. Unibasq defines the evaluation process for each area of activity. The evaluation is carried out by a panel of external experts. Final reports can include recommendations for improvement that are evaluated periodically; the period in which the follow-up is carried out can vary. Unibasq also develops, in some processes, on-site visits. At this link you can access information related with every Unibasq evaluation scheme. Under each you will find the corresponding evaluation procedure and criteria. At this link you can access the current list of experts working with the agency. In addition, Unibasq has a database of experts where new experts can give their names in order to take part in Unibasq evaluation schemes. Since 2013 Unibasq is member of INQAAHE. Since December 2015 Unibasq is member of ECA. Membership reconfirmed 21 February 2019. Established by the Federal Act on Funding and Coordination of the Higher Education Sector (HEdA) on January 1st, 2015, the Swiss Agency for Accreditation and Quality Assurance AAQ is the successor of the OAQ, which operated from 2001 to 2014. It receives public funding by the Swiss Confederation and the university Cantons, besides mandate-based funds. The Swiss Accreditation Council (SAC) adopts the budget and financial statement of the AAQ and therefore acts as board of control for the agency. The Accreditation Council is the joint body of the federal government and cantons for accreditation and quality assurance in the Swiss higher education sector and the accreditation authority for the accreditation procedures pursuant to HEdA. The Accreditation Council consists of 18 independent members who mainly represent higher education institutions, the world of work, students, non-professional teaching staff and academic staff. AAQ is the only national agency active in the field of quality assurance and accreditation in higher education. The AAQ carries out institutional accreditation procedures in Swiss higher education institutions in accordance with the Federal Act on Funding and Coordination of the Higher Education Sector (HEdA). Furthermore, the Swiss law on medical and psychology professions assigns to the AAQ the role of accreditation body for training and advanced training in medicine and for advanced training in psychotherapy. It is listed in the European Quality Assurance Register and can operate beyond the Swiss borders. Since 2011 AAQ carries out system accreditations in Germany, on behalf of the German Accreditation Council. Furthermore, is entitled to conduct Quality Audits in Austria according to the Austrian legislation. International evaluations are also carried out in some specific cases. The AQA acts as an external partner to help higher education institutions design their quality assurance systems, thus contributing to the development of a culture of quality. In its external quality assurance activities AAQ’s methodologies are conform to the European Standards and Guidelines (ESG) for the external quality assurance of higher education. All AAQ instruments, criteria, assessment outcomes, analytical reports are published on its website. AAQ internal quality assurance and accountability measures assure conformity with the ESG for external quality assurance agencies. The Guidelines and Quality standards are available here. Annual reports contain the list of conducted procedures, including the experts having carried out the external evaluation. They are available here. Sharing of good practices and exposure to new developments are essential for the continuous improvement of AAQ’s processes and contribute to shaping and sharing common values within the EHEA. 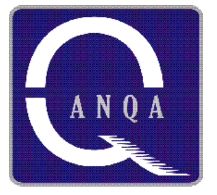 AAQ is an active ENQA full member since 2006, funding member of the Network of French speaking QA agencies (Réseau FrAQ-Sup), member of the European Quality-Audit Network (QAN) and member of the International Network for Quality Assurance Agencies in Higher Education (INQAAHE). Through these networks, AAQ participates in international projects and working groups. It cooperates with EUA, EURASHE and ESU. The AAQ’s procedures comply with the standards of the ENAEE and it is thus entitled to award the EUR-ACE label to engineering courses. It hosts and participates to relevant international events in the field of QA. AAQ staff takes part in external reviews of agencies across Europe. AAQ is recognized by the German Accreditation Council for carrying out procedures in Germany and is well networked with German agencies. Thanks to its EQAR-listing (since 2011), starting from 2012 it conducts quality-audits in Austria. BAC is an independent organisation, established to be the national accrediting body for independent post-16 education in the UK. BAC is a not-for-profit charitable organisation and is self-financing through accreditation fees. It receives no public funding. BAC is a non-regulatory body and higher education institutions applying for accreditation approach BAC voluntarily. BAC accreditation is recognised by the UK government in connection with the granting of Student Visitor visas. BAC accredits institutions. Institutions applying for accreditation vary greatly in size and in the character of provision. Many are specialist institutions offering only a small number of study programmes. To reflect the diversity of the sector, BAC operates different accreditation schemes to cover all types of providers. There are two schemes for international providers – Independent Higher Education and International Centre. Accreditation is only available to private providers. BAC offers a consultancy service in all aspects of quality assurance and accreditation. Following a documentation scrutiny exercise, rigorous inspections are carried out by a professional inspectorate. The institutional report is presented to the independent Accreditation Committee which makes all decisions on the award of accreditation. The award of accreditation is subject to an institution meeting standards established and periodically reviewed by BAC. Institutions are subject to regular monitoring, centring on interim visits and the submission of annual returns. Reaccreditation inspections are carried out every three or four years. BAC’s pool of experts is available here. Under the International Higher Education and International Centre schemes, BAC currently accredits institutions in Bulgaria, Greece, Hong Kong, Mauritius, Mongolia, Singapore, South Africa, Switzerland and the UAE. We have been working with the Higher Education Council in Bahrain for the last two years, developing an accreditation framework for higher education institutions. BAC also completed a consultancy project for the Ministry of Education in Albania in connection with the review of Higher Education accreditation and quality assurance. BAC is a full member of INQAAHE. Institutional, accreditation, inspection, UK, independent, international, consultancy, quality assurance. The Quality Assurance Agency (QAA) is an independent body, a company limited by guarantee and a registered charity. Strategy and policy are determined by its Board, which has representatives from the higher education sector, the student body and from industry. The day to day delivery of the agency’s strategic aims, as set out in its Strategy 2014-17, is the responsibility of its Directorate, led by Chief Executive Douglas Blackstock. QAA’s stated mission is to safeguard standards and improve the quality of UK higher education. It reports on standards and quality under contract to government. This is done through peer review, based on the Expectations of the UK Quality Code for Higher Education (maintained by QAA on behalf of the higher education sector). Different review methods accommodate the range of environments and arrangements through which UK higher education is provided. Since 2011, QAA has been entrusted by the government with reviews of private providers, as required by UK Border Agency regulations. On behalf of the Privy Council, QAA scrutinises applications from institutions wishing to obtain degree-awarding powers and university title. QAA also regulates the Access to Higher Education Diploma. QAA’s main office is in Gloucester, with additional offices in London and Cardiff. Its Scottish work is conducted through a separate office in Glasgow. Universities and other degree-awarding bodies are reviewed through three distinct peer-review methods: Higher Education (England and Northern Ireland); Higher Education Review (Wales) and Enhancement-Led Institutional Review (Scotland). These check how well institutions meet the Expectations of the Quality Code, and what they are doing to enhance their educational provision. QAA has separate review methods for higher education delivered by private providers and through collaborative arrangements between degree-awarding bodies and other providers operating on their behalf. Such providers include some further education colleges and overseas organisations. QAA also reviews the Access to HE Diploma. Reports are published on QAA’s website. QAA takes a leading role in international developments in higher education standards and quality. We enjoy a close relationship with other national quality assurance agencies, monitoring and reporting on advances around the world. We advise British government departments and other stakeholders on UK higher education quality assurance, accompanying government ministers on trade missions overseas and participating in bilateral cooperation programmes. Our international work reviewing UK qualifications delivered through transnational education (TNE) is done by means of country visits to locations with significant numbers of students. In recent years, we have looked at UK higher education delivered in Singapore, Malaysia and India. In 2012, our focus will be on UK TNE in China. As well as ENQA, QAA is a member of the International Network of Quality Assurance Agencies in Higher Education. We participate in the Asia-Pacific Quality Network and have links with partner agencies around the world. RCVS was established in 1844 by Royal Charter to be the governing body of the veterinary profession in the United Kingdom. Its statutory duties operate under primary national legislation and are currently laid out in the Veterinary Surgeons Act 1966. RCVS is also designated as the “Competent Authority” for the veterinary profession under European Union legislation. Under the RCVS Supplemental Royal Charter 2015, powers are granted for the setting of standards for the training and education of persons wishing to be entered in the register of veterinary nurses. The majority of RCVS’ income is derived from annual registration fees from veterinary surgeons and veterinary nurses practising in the UK. Setting and monitoring the standards for the education of veterinary surgeons and veterinary nurses is a key responsibility of the RCVS. RCVS has the duty to assess the quality of courses of study followed by students training to be veterinary surgeons and veterinary nurses in the UK. Under this provision, RCVS is able to monitor standards at UK universities on a regular basis, not just through the formal process of periodic accreditation visits. RCVS accreditation of veterinary and veterinary nursing programmes both involve the completion of a self-evaluation report by the institution before a visit, site visits to the institutions, completion of a report by visitors recording the institution’s degree of compliance with RCVS published standards, the opportunity for the institution to provide comment on the report, and review and decisions on accreditation made by RCVS committees. Accredited institutions submit an annual monitoring report which are considered by the appropriate committees. RCVS works closely with several agencies on international accreditation matters: the European Association of Establishments of Veterinary Education (EAEVE), the Australasian Veterinary Boards Council (AVBC), the American Veterinary Medical Association (AVMA), and the South African Veterinary Council (SAVC). RCVS is also the Chair of the Accreditation Committee for Veterinary Nurse Education (ACOVENE) which accredits veterinary nurse programmes in the EU. Membership granted on 17 October 2018. The European Association of Establishments for Veterinary Education (EAEVE) was founded in 1988 and initially based in Maisons-Alfort, France. Later, the administrative office was based in Brussels, Belgium and since 2007, the seat of EAEVE and its offices have been in Vienna, Austria. EAEVE is a non-profit organisation and the only international or EU transnational non-governmental accrediting agency for veterinary medicine within Europe. EAEVE membership is voluntary and currently has 96 Veterinary Education Establishments from 34 countries (75 Establishments within the 28 member states of the EU, the rest in Albania, Bosnia-Herzegovina, FYROM, Israel, Jordan, Norway, Serbia, Switzerland and Turkey). As a supra-national but subject focused agency, EAEVE main activity focuses within the EHEA as an accreditation body for veterinary education establishments at international level, mainly focused in Europe. EAEVE manages the European System of Evaluation of Veterinary Training (ESEVT), a profession-specific accreditation system which evaluates, promotes and further develops the quality and standard of Veterinary Teaching Establishments and their teaching within, but not limited to, the member states of the EU. The main objective of the ESEVT is to monitor the harmonization of the minimum standards set down in the study programme for veterinarians in the EU Directives that regulate the mutual recognition of qualification of graduates in Health degrees, including veterinarians. The Standard Operating Procedure (SOP) is the document that drives the accreditation process utilised by ESEVT during visitations to Establishments. The ESEVT evaluation is a fully transparent international accreditation procedure based on a system of a Visitation programme over one week, together with periodic Interim Reports provided by the Establishment. It is compulsory for EAEVE members, as per the EAEVE statutes. To be accredited by ESEVT, a veterinary degree provided by an Establishment must meet all the standards set out in the SOP, in order to be compliant with the EU Directives on the recognition of professional qualifications and the ESG 2015. EAEVE develops nearly 25 Visitations per year. Although admission for Veterinary Education Establishments (VEEs) within the EU is based on a simple request, candidates for membership outside the EU must undergo a screening procedure which includes a Consultative Visitation. The Standards within an ESEVT visitation are increasingly applied outside the EU, and even outside geographical Europe. The Establishments in Irbid (Jordan), Nanjing (China), Ulaanbaatar (Mongolia), Rabat (Morocco), Sidi Thabet (Tunisia), Kazan, St. Petersburg and Moscow (Russia) have recently been evaluated by a Consultative Visitation. Four Japanese Establishments (conforming VetJapan South and VetNorth Japan) are on the verge of adapting the methods of ESEVT, with two full Visitations in 2019. As an international accrediting body of VEEs, it is of major importance for EAEVE to reinforce the relationships with pair organisations such as FVE, EBVS, IVSA and VetCEE. Strengthening the cooperation with other organisations dealing with Veterinary Education such as the AAVMC, AVBC, AVMA, , RCVS, OIE and WVA is also essential. Membership granted 19 April 2018. IEP is a non-governmental organisation functioning on a non-profit basis. It is part of a European-level university association and is independent from governments and other national bodies. It is managed by an independent Steering Committee. IEP provides comprehensive, improvement-oriented institutional evaluations to higher education institutions. An IEP evaluation is tailored to the institution’s own goals, objectives and profile, and aims to support the institution in developing its strategic leadership and capacity to manage change. Institutions also have to option to choose a special focus for their evaluation. Follow-up evaluations are offered to institutions who have had a full evaluation within the previous one to three years. IEP is a voluntary process and does not lead to a summative judgement. In addition to evaluations that are carried out at the request of individual institutions, IEP also conducts coordinated evaluations at national or regional level. The evaluation begins with a self-evaluation process conducted by the institution, followed by two site visits by an evaluation team, and is concluded with a final report by the evaluation team highlighting good practices and providing recommendations for improvement. The IEP methodology is described here. Further information on the IEP pool of experts is available here. IEP has carried out nearly 429 evaluations in 49 different countries. IEP operates primarily in Europe, but also carries out evaluations worldwide. Its staff attend international events to keep up with global developments in quality assurance, and are also regularly invited as guest speakers. IEP is also a member of the CHEA International Quality Group. Membership reconfirmed on 21 February 2019. KAA is a public independent agency established in 2008 by the Ministry of Education, Science and Technology (MEST) in accordance with the Law on Higher Education in Kosovo. It is established as the agency that guarantees the quality of educational and scientific research work at higher education institutions in Kosovo. The National Council of Quality (Accreditation Board) consists of local and international experts in higher education. The Kosovo Accreditation Agency has a legal basis for the accreditation of all higher education institutions that offer or propose to offer higher education programs that lead to the award of academic degrees. KAA’s primary responsibilities are: the accreditation of public and private institutions of higher education; the accreditation of new institutions of higher education and their study programs; the accreditation of new programs at those institutions of higher education that already are accredited; controlling of quality assurance at accredited institutions and their programs. Internal evaluation by the applicant institution which results in the production of a Self-Evaluation Report. Site visit to the institution under evaluation – Devaluation by an expert team composed of international experts. Decision by the NCQ and the report publication. Follow-up procedure. Evaluation report produced by the expert team and decisions of the KAA are always published on KAA’s website. The Administrative Instruction on Accreditation of Higher Education Institutions is available here. The Standards of Accreditation is available here. The Regulation on Accreditation of PhD study programs is available here. The pool of experts is available here. KAA has been a full member of ENQA since 15 September 2014. KAA is also a full member of CEENQA, INQAAHE and has applied for registration in EQAR as well. KAA staff are actively engaged in international activities organized by international networks of quality assurance. Establishment of the KAA has been supported by European partners such as Austria and Germany, and therefore KAA has shared and translated all their procedures and practices into its own system. Member under review since 19 April 2018. – The National Entity for Accreditation and Quality Assurance in Higher Education (NEAQA) is an independent agency in Serbia, established by the Government of the Republic of Serbia in 2018, for the purpose of quality enhancement of higher education institutions and study programs. – NEAQA is funded through the accreditations fees which are paid by the Higher education institutions. – Members of the expert body of NEAQA, Commission for Accreditation and Quality Assurance (CAQA) and peer –reviewers are selected among the professors from the accredited Higher Education Institutions in Serbia. Conflict of interest in decision making is prevented by the rules of NEAQA’s Code of Ethics, which defines principles and rules of ethical behaviour. The main role of NEAQA is assurance and improvement of quality of higher education in Serbia, by meeting all demands and preconditions for its harmonization with the European Higher Education Area, respecting the diversity, innovation and specificity of the national higher education system. Main activity of NEAQA is accreditation and initial accreditation of HEIS and study programmes, and external quality control based on self-assessment of HEIs. In quality assurance processes CAQA uses Peer-review panel consisted of professors from HEIs, students and experts for certain areas from employers, professional associations, labour markets, chambers, etc., whose task is to evaluate HEIs and study programmes and make a report on the assessment. Panels submit reports to CAQA based on which it decides upon the accreditation request. Panel members are before assessment trained on procedures and rules and standards for accreditation. – For HEIs: goals and main tasks of HEI; planning and control of the results achieved; organisation and management; studies; research; teaching staff; non-teaching staff; students; equipment and available space; library, literature and IT support; internal mechanisms for quality assurance; resources of financing and transparency. NEAQA is still new institution and needs to develop in the future international cooperation. Until now the NEAQA representatives participated at General Assembly of ENQA, were they made connections with representatives of other agencies, members of ENQA. 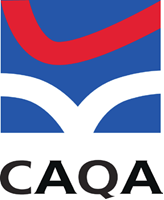 Member under review since 22 February 2018 (the predecessor organisation Commission for Accreditation and Quality Assurance (CAQA). In 2018 CAQA changed to NEAQA).